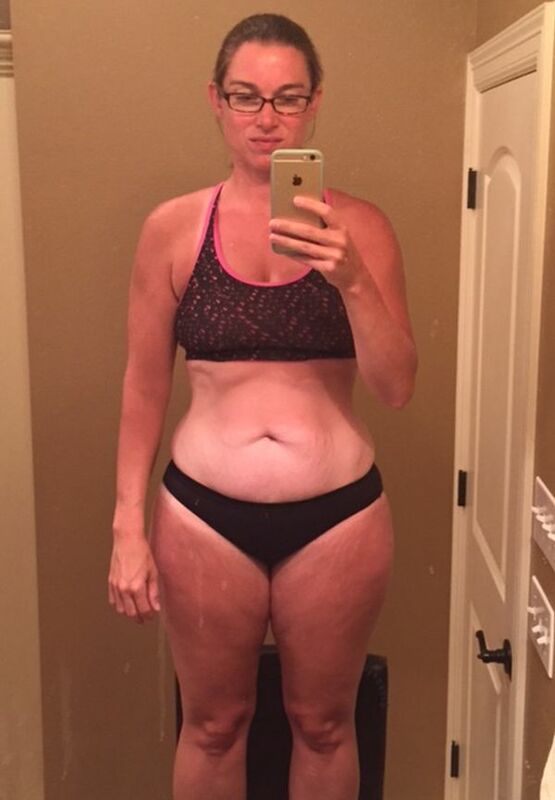 Muscle for Life Success: Rachel M.
"It sounds cliche, but this has honestly changed my life. I have become happier and a better mother to my children." I am 33 years old and in 1 year on Thinner Leaner Stronger I have lost 17 pounds and all my lifts have increased significantly. Before beginning the program, I had been severely restricting my calories (1200 or less per day) and not really working out with only inconsistent cardio. I had never even held a barbell in my hands, and I was very self-conscious about lifting when I began-especially being the only girl in a sea of men. After upping my calories and counting my macros, I was able to begin cutting. It took a bit though, probably because my metabolism was shot from under eating for so long. Bench- 15 lb. dumbbells (sad, I know) up to 85 lbs. Squat- 40 lbs. up to 125 lbs. Deadlift- 45 lbs. up to 145 lbs. The only thing I was worried about was lifting weights. I’d been strictly doing cardio, if anything, and was completely out of shape beforehand. I really like how it is all laid out for you. It’s easy to follow. All you have to bring to the table is dedication and consistency. I have been a yo-yo dieter for my entire adult life, like many women. I have tried so many quick fixes and fad diets and I thought cardio was the answer to everything. I’d force myself to run and wait impatiently for the elusive runner’s high. It all just made me miserable. This has made me excited. I feel like a completely different person. It sounds completely cliche, but this has honestly changed my life in every aspect. I have become a happier person and a better mother to my children. Before I began, I was perpetually exhausted and unhappy with myself and my body. Most importantly, I treated myself horribly due to my insecurity. Negative self-talk, living and dying by the scale, and emotional eating were all a normal part of my life. Not only has my body changed for the better, but I’ve also started to shift my way of thinking. I no longer give a damn about the scale and see it just as a tool instead of my lifeline. I love the way my body looks, but, even more, I love what it is capable of doing. Being strong has become more important to me than being skinny, and I walk into the gym without pausing to give thought to all the “bros” in the free weights area. Food is no longer the enemy, and nothing is “off limits” when it comes to my diet. I have a healthy relationship with food and with myself for the first time in my life. I couldn’t be happier. I would recommend this program to all women. Over this past year, I have begun posting pictures on Instagram of my progress, and I have so many friends ask what I am doing. I recommend the book to them every single time. So many women believe that the treadmill is the key to the body of their dreams, and they believe that they must abstain from eating good food in order to lose weight. I wish that every woman would give this a try. I believe that it has the potential to change lives, just as it has changed mine. The only thing I’d like to add is that this program really can be fit into even the busiest of lifestyles no matter how young or old you are. I’m 33 years old, I have two kids, and I teach full-time. If I can do it, anyone can do it. 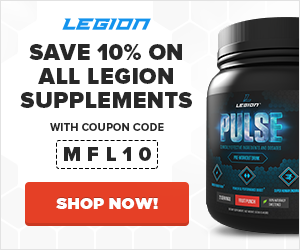 I use the Legion Whey+ and Pulse. I will be ordering Triumph as soon as I run out of my other multi-vitamin. I honestly wish I could use them all, but I’d probably go broke. Ha!